If you’ve ever watched the reality show Shark Tank, you may have found yourself daydreaming about starting your own business. 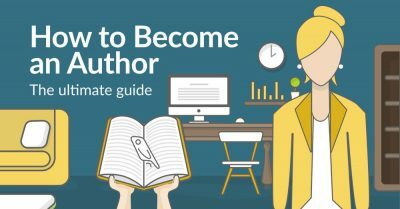 And if you’re an indie author who’s learning the self-publishing ropes, you might be wondering if you should start your own publishing business — as opposed to just doing everything under your own name. If these criteria don’t apply to you, you’re likely better off publishing your books under your own name. 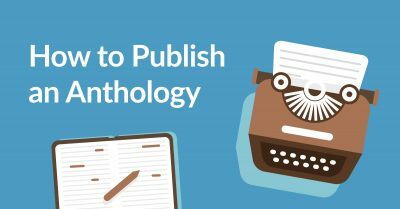 But if they ring a bell, then this guide to starting a publishing company is a great place to start. Note:t this advice is not coming from legal professionals, and any business ventures should be taken after consideration of local laws and consulting with professionals. What follows mainly applies to starting a company in the United States. Disclaimer withstanding, let’s get started! Should you start your own publishing company? Learn how to answer that question. To help you better understand whether this is the right time for you to start your own publishing company, let’s look at the benefits a little closer. While self-publishing is a major accomplishment that should be viewed with pride, many bookstores and libraries will not stock their shelves with books clearly published by authors. 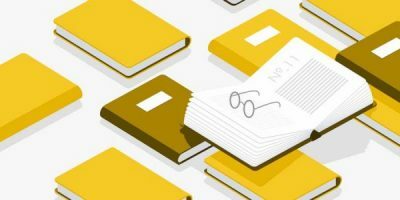 In addition, readers are often less likely to purchase an obviously self-published title as they’d prefer to go with books that have been vetted by publishers — which of course means they’re missing out on some great reads! One of the most obvious markers of a self-published title is that the author’s name is listed as the publisher. However, if you start your own publishing company — say, Reedsy LLC or Reedsy Publishing — you can use that name as the imprint, which might give your book a more “professional” air. 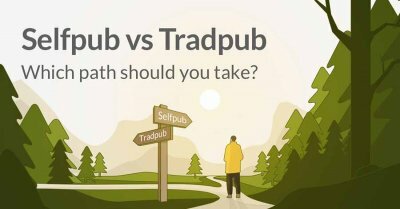 What is the difference between the IRS seeing your publishing endeavors as a hobby versus a business? Well, if it’s a hobby, then those expenses can only be deducted from your writing income. If they consider those activities as a business, on the other hand, you might be able to deduct writing and publishing-related expenses from your non-writing income. The IRS encourages entrepreneurs by assuming new businesses will lose money from the outset, and allowing them to offset those losses with tax breaks. If you want to enjoy the tax benefits the IRS affords, then it’s key to operate as a business — and and to show that you are running that business with the aim of making a profit. You don’t hear about independently published authors getting sued every day. However, writers who want added protection against any crumbling cookies will find assurance in that fact that when you incorporate or start a business such as an LLC, your personal income and assets are protected. Indie authors unite? If you've already set up the infrastructure (a mailing list, traction with sales on Amazon, etc. ), then looking beyond your own repertoire of titles and publishing more books that appeal to similar readers is a good idea. 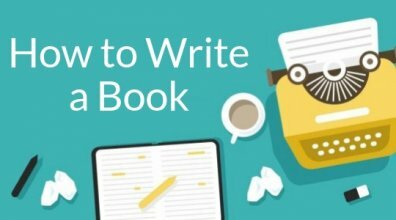 You can leverage all your hard work establishing your business and learning marketing to expand your brand and sell more books without having to do all the writing yourself. Of course, this comes with the added responsibility of royalty payments. 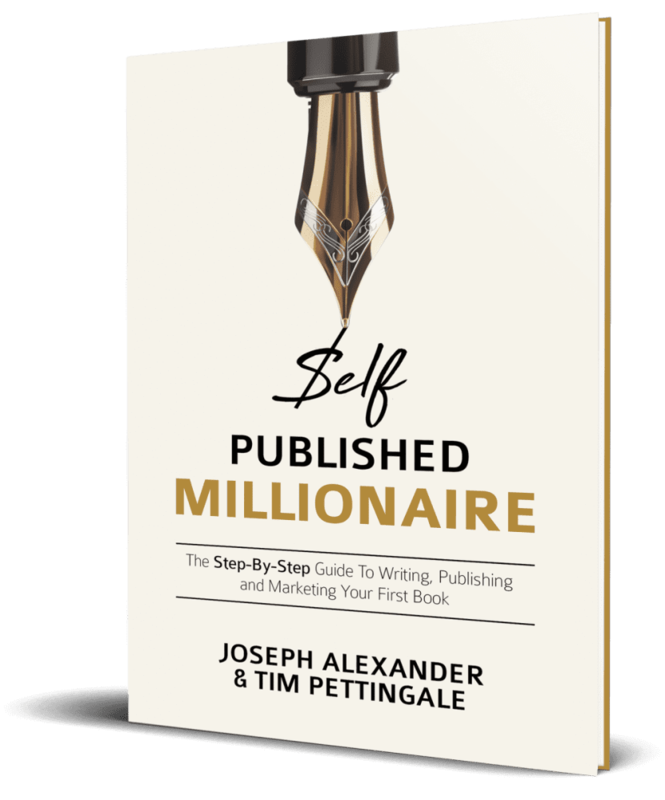 This is just how author Joseph Alexander grew his own publishing business (and became a self-published millionaire in the meantime). While writing and publishing a series of non-fiction books about learning guitar, Joseph spent a good deal of time building his web presence and learning about branding. His sales began to take off and other musicians began approaching him to publish their own books. As Joseph says, “We split the profits 50/50. I grew my publishing company and they got great royalties.” His publishing company, Fundamental Changes, now boasts a long list of bestselling titles. Before you can fire up the presses and take the publishing world by storm, there are a few T’s to cross and I’s to dot to give your business the best chance for success. Why do you want to start a publishing company? 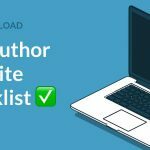 Will you publish your books only, or titles from other authors, too? What income range are you expecting this business to yield? How do you see your business growing in the next year? 5 years? Ten years? These are questions you should readily and passionately be able to answer before you get started, as they will affect your business decisions. We know, we know, can’t we just skip ahead to the fun part, like choosing a company name? Not just yet, there’s some important groundwork to be laid first, like deciding exactly what type of company you are looking to start. Sole proprietorship: a business operated and owned by one person. The simplest business form, but not the most risk-free (keep reading). Corporation: a group of people or an organization authorized to manage the company as a single entity. A more complex business form. LLC: provides the protection of assets that a corporation receives with versatility and pass-through tax benefits of a partnership or sole proprietorship (meaning a business taxes can be paid through someone’s personal tax return). 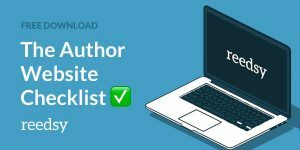 Most authors will decide to start their own publishing companies as an LLC or sole proprietorship, as these are the most flexible and simple business forms of the bunch. However, our personal suggestion is that you set up as an LLC. As mentioned before, LLCs offer the most liability protection, meaning your personal assets are protected from any debts incurred by the business. For more information on what structure best suits your goals, check out the Small Business Administration. Branding. What market or niche are you targeting? In which genre does your company publish? These questions will help you refine your company’s brand — and its name should be a reflection of that. If you’re planning to publish middle-grade fiction primarily, choose a name that reflects that. Relatability. We live in a fast-paced world and your allotted time frame to capture someone’s attention is slim to none. So it pays to be strategic when coming up with a name, and to use words that readers will already be familiar with. If there’s a made-up word you really want to use, ask yourself what it will communicate — if anything — to people at first glance. Keep it short and to the point. Superkalifragilistikexpialigetisch Press isn’t a smart move. Finally, make sure whatever name you choose hasn’t already been taken! Check if the name is already trademarked and then search for the availability of the URL-version on a domain registrar site like GoDaddy. This is a nine-digit number provided by the IRS that includes information about the state the business is registered in. Think of it a bit like your company’s social insurance number. Learn more here. After you’ve received an EIN, you can register for a business bank account which will allow you to keep your business and personal finances separate. This will ensure your personal assets are protected should a lawsuit ever arise (knock on wood, this is just a precaution!) and it will make it easier for you come tax season. Also, consider setting up a PayPal account for online transactions. Stifle that yawn, because this is an important, can’t-be-overlooked step! Whether you’re using a free resource like Google Sheets, a paid tool like Quickbooks, or outsourcing accounting work to a professional, nailing your bookkeeping practices down from the start is essential. It will help you track which of your efforts are paying off and ensure you have a record of all expenses which will be handy for tax write-offs. Quickbooks. With over 4.8 million users worldwide, it’s one of the most popular accounting applications. While it has a vast number of tools for all kinds of business (brick and mortar, e-commerce, home-based, etc. ), it caters especially to small businesses. Freshbooks. A great option for invoicing needs, it allows users to easily add billable time and expenses, customize the look of the invoice, and set up recurring invoices, automatic payment reminders, and late fees. Zoho Books. This is a good option for very small businesses looking for a simple solution. It offers basic accounting features, with the option to integrate and access advanced tools as your business grows. Wave Financial. If you’re looking for a free option, this might be your best bet. It doesn’t have any bells and whistles, but it does offer no-charge, cloud-based accounting functions designed specifically for small businesses. When people want to know more about your company, it’s likely their natural response will be to Google it. A website is the best way to capture those interested leads and to tell people more about your business. Again, we recommend GoDaddy for this. Trust us, your publishing company will only get by with a little help from some friends. Professional ones, hopefully, with lots of experiencing in publishing. Launching successful titles comes with a lot of specialized work, such as editing, cover design, interior formatting, web design, marketing, etc. Luckily you can turn to online marketplaces (such as Reedsy!) to hire those services — and you don’t need to break the bank at the same time. One of the benefits of starting a publishing company these days is that you can keep things pretty lean by building a network of freelancers you trust, without getting tied down to a head-count. And you won’t be alone: more and more traditional publishers are looking to freelancers to help develop books. 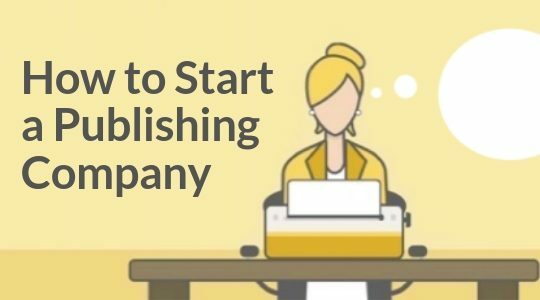 We hope this information helps you decide whether starting a company is the right path for you, and, if so, how to start a publishing company that hits the ground running. Starting a business comes with it’s fair share of ups and downs; learnings and mistakes. If you’ve started your own publishing company, help spread the knowledge by sharing your experiences! And, as always, any thoughts or questions are encouraged in the comments below. Does your website check all the boxes? Enter your email and find out!